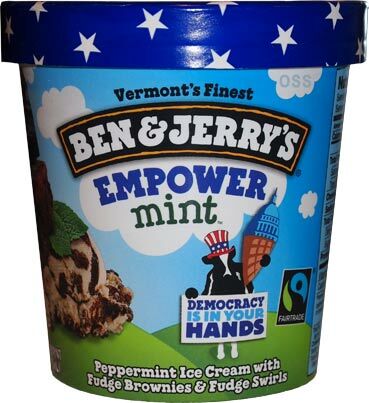 [Announced May 17, 2016] You know Ben & Jerry's is big in to democracy right? Democracy of (all) the people, by (all) the people, and for (all) the people. Not just the company, the actual Ben and Jerry too. From getting the dough out of politics to getting arrested on the steps of the U.S. Capitol Building, this is a serious matter for them. The next step? A new flavor ofcourse! No fake red or green here. I take one bite and I know it's a keeper. I was going to say something poignant like why don't more companies mix brownies and mint together, but I think it's the swirl that really got my attention first. The flavor is spot on and goes perfectly with the peppermint. Good times. Ok, I was good and only took three more bites (it would have been 30 more bites if it had been the middle of the day instead of the end of it). To recap, excellent peppermint base. It has a nice cooling factor without being overpowering. 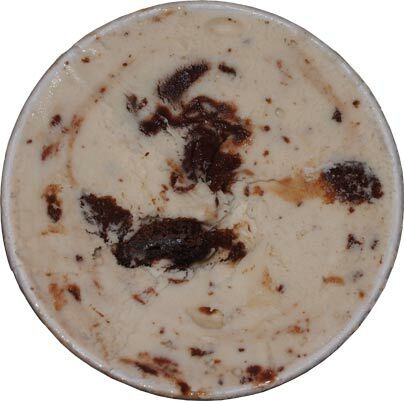 The fudge swirl is excellent and I'm not usually a fan of things like their fudge cores. Brownies round it out. Tasty trifecta. I can't imagine how great this would be on a brownie sundae. Ok, technically it is practically a brownie sundae, but on top of a fresh brownie, oh man, epic. On Second Scoop: Oh yeah, even better on the second scooping. Slow scoop so you get a nice balance of everything on your spoon and you will be oh so happy like I am now. I really do love the way this one came together and I still think it's the fudge sauce that pulls it together. The swirl just seems much more chocolatey than their typical fudge offering and it seals the deal for me. Well done Ben & Jerry's. Is this a limited and/or exclusive flavor? Haven't seen it in my stores yet, but we usually get things late. Not exclusive and I don't believe it's limited but it's literally being announced today. A few stores put it out early, I just found it myself on Sunday. If they put out any good details today, I will add it to the post. Bernie's Yearnings was a neat gimmick but I can't imagine it would sell well. This should definitely sell well.... I'll buy it again anyway! It is funny they are both mint based. I should clarify one thing: it doesn't say "limited" on it, but like the excellent Save our Swirled, it may only be for this year. That sounds great. I dont often think of mint and brownies together as a flavor which is silly because chocolate and mint go really well together (yum mint chocolate chip), and a brownie with a scoop of mint ice cream is delicious (as you mentioned would be good). I think Edys made a mint brownie back in their initial mix-in days but it was dairy dessert and not very good. But i bet B and J do a great job. Dubba, does this change your thoughts on mint ice cream? Nick is the one who tends to not like mint ice creams, I'm all for them (I don't crave them necessarily, but I enjoy them very much). 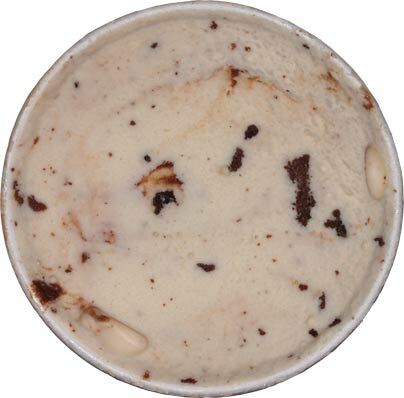 Edy's actually still makes their mint brownie flavor, though it has gone through several iterations as a Loaded flavor, and a fun flavor, and now still a grand flavor. I thought this one was a Walmart exclusive. You have to try the Edys Mint Brownie if you like this! 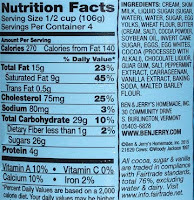 Ben & Jerry's super premium quality versus Edy's cheap food science quality? I think I'll stick with this one for as long as the food budget allows it. Dubba! Why do you hate science? "You know Ben & Jerry's is big in to democracy right? Democracy of (all) the people, by (all) the people, and for (all) the people. Not just the company, the actual Ben and Jerry too. From getting the dough out of politics to getting arrested on the steps of the U.S. Capitol Building, this is a serious matter for them." 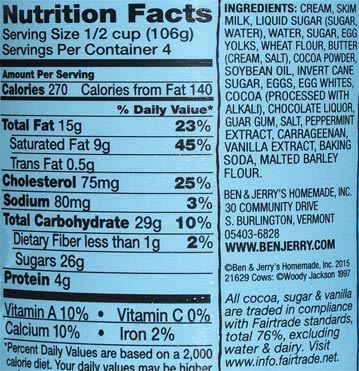 And this is why I don't support Ben and Jerry's. It's not that I agree or disagree with their political opinions, but that they use their products to push their opinion on their consumers. It's like going to a concert, and midway through the set the band stops playing to talk to you about their opinion on "the" war. Stop using your status to preach to me about your opinions. Just give me the music, or in B&J's case, the ice cream. @The Toy Box, what's wrong with them voicing their opinion? You can safely ignore it if you want, but to me it adds some personality to what would otherwise be a faceless company. So its like Mint Chocolate Cookie except with brownies instead? Not that theres anything wrong with that. Mint Choc Cookie is one of the best flavors out there because you often get massive almost whole sandwich cookies. Used to be better before they went non GMO and changed the source of the cookies but its still a quality flavor. Hey, that's your prerogative. If you don't like it, don't give them money, that's how you tell them you don't approve. Can I start a small debate though? Is there a line in the sand for you? Companies like three twins might give a bit back to protecting the environment, I assume that's ok? So let's go bigger. Are you ok with something like "save our swirled"? like is environment ok but not politics? I like when companies try to better the planet but I get that it's tough when they start getting in to social and political issues. Unfortunately most of it boils down to whether you agree with whatever opinion a company is pushing. Any way to explain what the mint is like? Sometimes mint is too overpowering (not empowering...haha) and other times it's super refreshing. How does the base flavor compare to Takenti, yeungling (yum), breyers, Edys, friendlys? I'll probably try it anyway but just wondering how you'd describe it beyond what you wrote in the review. I have been searching everywhere for this flavor since you posted your review, and finally found it. It's perfect. I am in love. Well....Not to paint a target on my own back or anything....But I don't recycle either. So save the Earth campaigns typically make me roll my eyes as well. That's it, no ice cream for you! First scoop didn't wow me on this one. This did not taste like the green "mint" ice cream from things I enjoy like Dreyer's (even the slow-churned version of Mint Cookie Crunch) or Friendly's or the mint in the Thin Mint Cookies in Breyer's Blasts; maybe B&J's is what (pepper)mint really tastes like, but I wasn't in love with this on first scoop. I wouldn't say it was toothpaste-flavored, and it wasn't overpowering, but I just didn't like it enough to feel like I HAD to eat more (like I do with the B&J flavors I like and most Mint ice creams, as mint is one of my favorite ice cream flavors). Maybe it's just because it was white, though I didn't particularly care for the mint flavor in B&J's Chocolate Peppermint Crunch (I don't remember trying the Mint Cookie Crunch), so maybe I just don't like B&J's version of peppermint. As for the rest of it: the fudge didn't wow me, and the brownies seemed worse than the ones in the Half Baked Frozen Yogurt. It wasn't that bad (maybe a 5 or 6 out of 10) but just didn't meet my high expectations for the flavor and B&J's in general. Hopefully my tongue enjoys it more on the second scoop. Has anyone seen this in a stop and shop, Shaws, star market, Roche brothers, market basket, or price chopper? I can't find it! This ice cream was absolutely fabulous. Cannot agree with the overly critical opinions. My pint was very well mixed and the mint flavor tasted very natural. Perfect combo here. Getting a solid 9/10.